The black 2600 Series Mini Sized Windscreens from WindTech come in a pack of 3. These windscreens are designed for use with small lapel, lavaliere, and headset microphones having outer diameter of 2.2 to 4.9mm. The overall height of each windscreen is less than the diameter of a dime with a hole of size just 2mm. 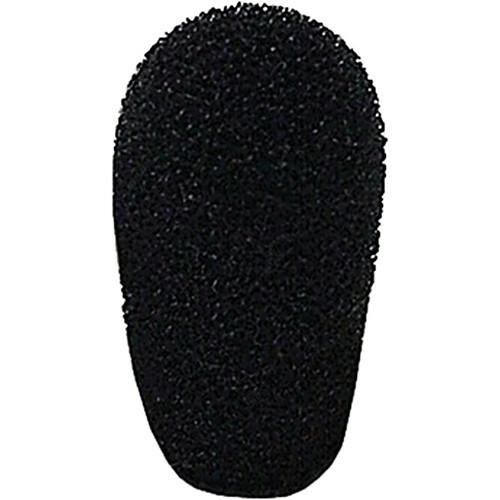 2600 Series Mini Sized Windscreens (Black, 3-Pack) is rated 5.0 out of 5 by 1. Rated 5 out of 5 by Mondavi from This will fit an E6 If you have ever priced a E6 Wind screen you know that countryman makes them out of gold. The 2600 series mini size fits nice and won't brake you bank.